SHE, the Ultimate Weapon is the story of Shuji and Chise, a couple of typical high school students living in a Hokkaido City, Japan at a time of war. As with most first romances, the pair must deal with peer group pressure, gossip, intense emotions, feelings of ambivalence and the fact that Chise is a secret military weapon capable of levelling a medium-sized city! Created by Studio Gonzo (Burst Angel, Full Metal Panic, Hellsing and Trinity Blood) She The Ultimate Weapon Box Set gathers together for the first time all 13 episodes of the TV series and the "Another Love Song" feature length OVA in one beautiful deluxe art box. The premise is good. I also enjoyed the episodes I have seen so far, but for some reason I never finished watching this series. But I definitely will some day. For "She-Ra: Princess of Power" I decided to watch the movie "Secret of the Swords" again. This movie is cut together from the first five She-Ra episodes and comprises the origin story. The following review is a repost though. Skipping "Sherlock", I have already reviewed it in this thread. Jennifer Garner (13 Going On 30, "Alias"), Eion Bailey (Fight Club, Almost Famous) and Scott Bairstow ("Party of Five") star as three twentysomething best friends living in Los Angeles and having the best - and worst! - times of their lives. Whether they're falling in love with the wrong people, auditioning chickens, or writing a parent's eulogy, Nell (Garner), Campbell (Bailey), and Henry (Bairstow) know that no matter how wondrous, ridiculous, and painful life may be, they'll always have each other's friendship to carry them through. The complete series from the creators of "Party of Five" reminds us what it's like to be young, passionate, and willing to risk everything...over and over again. There's no one better to do it with than your SIGNIFICANT OTHERS. This series was a blind buy some time ago. I never really enjoyed this series. I think it is boring. I have followed the first few years of the Simpsons, but stopped at some point. Not because I thought it was getting bad, but somehow I lost interest. Probably it just got too many episodes and now it is hard to catch up again. I enjoyed this first episode. The animation is not quite as bad as I expected it. It changed a lot though in later seasons. Skipping the mini series "Sisi". I have reviewed it here though. In the fall of 1986, an unsuspecting TV nation met a new kind of comedy hero who made Rambo look like Pee Wee Herman. David Rasche starred as the trigger-happy lawman whose hatred of criminal scum and yogurt eatin' creeps was matched only by his love of excessive force and a .44 Magnum. Over the next two seasons, this hilariously deranged lampoon of DIRTY HARRY and plenty of other targets became one of the most notorious series in television history and launched a rabid cult of fans that grows to this day. This is SLEDGE HAMMER! The complete first season of SLEDGE HAMMER! is now newly re-mastered (including removal of the laugh track) and loaded with an arsenal of exclusive extras that features uncensored footage, all-new interviews with stars David Rasche, Harrison Page and Anne-Marie Martin, audio commentaries and more, all given the "Hammer" seal of approval by Series Creator & Executive Producer Alan Spencer. I really enjoyed this series when I first seen it on TV. I still like it. It's a Dirty Harry parody. I still have to think of Sledge Hammer when I see David Rasche in something. Get ready for Seasons One and Two of the breakthrough Sci-Fi series 'Sliders'! Quinn (Jerry O'Connell), a brilliant grad student, has created a device that opens a wormhole to an infinite number of parallel universes where history has taken different paths. His first test trip goes awry, stranding his physics professor, Arturo (John Rhys-Davies), his friend, Wade (Sabrina Lloyd), and bystander Rembrandt "Crying Man" Brown (Cleavant Derricks) in parallel San Franciscos. Now, this foursome of Sliders must travel from one alternate reality to another in the hope of somehow finding their way home. I really enjoyed the first two and half seasons of Sliders, but then I lost interest when more and more characters where changed and they introduced the Kromagg. The pilot is a great introduction to the series. Growing up is tough for any teenager. But it's even tougher when you have mysterious super powers you don't understand and must not reveal to others – powers that keep you from fitting in with the everday high school world of football, friends and dating. 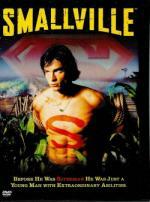 Teenage anxieties and smalltown secrets give the Superman mythology an exciting new spin in Smallville. Tom Welling plays Clark Kent, the adolescent whose hoped-for romance with Lana Lang (Kristin Kreuk) is frustrated by the kryptonite in her necklace. Michael Rosenbaum is Clark's self-proclaimed steadfast friend Lex Luthor. Inside the idyllic community of Smallville, the intertwined destinies of these three begin to take shape while an imminent danger emerges: a high-school prank has spawned a vengeful villain who has acquired super powers of his own. This pilot movie presentation is cut together from the first two Smallville episodes. Especially the first half is a good introduction. Sadly the second half is a typical freak of the week story, for which the first season was known for. SOUTH OF NOWHERE follows the Carlin family as they relocate to Los Angeles and quickly discover the're "not in Kansas anymore," even though the're really from Ohio. In L.A., life is much more complicated – for everyone. The family is challenged to look at life, and each other, with new eyes. Daughter Spencer, a pretty, athletic 16-year-old, begins to question everything: her friends, her boundaries, and – her sexuality. Her 17-year-old adopted brother Clay is African American, smart, and sarcastic. He is looking forward to the opportunity to connect with his culture but finds that being black in L.A. comes with its own set of expectations. Spencer and Clay's brother Glen, also 17, is outgoing, a star on the basketball court, popular with the girls – the guy everyone wants to be and be around. He seems to have the world in his pocket...but is L.A. challenging his notions of who he is, too? The Carlins may have moved cross-country, but ultimately they find that the real journey – finding out who you are and who you want to be – has left them feeling "south of nowhere." A nice series about a teenage girl coming to terms with her homosexuality. The pilot is a good introduction and I enjoyed it. Now all thirteen classic episodes are available for the first time in this exclusive 3-disc collector's edition. Join Stan, Kyle, Cartman and Kenny as these four animated tykes take on the supernatural, the extraordinary and the insane. 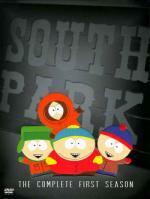 For them, it's all part of growing up in South Park. I still remember the very first time I saw this episode. 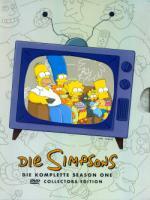 It was the first time it aired on German television. It aired on a Sunday evening after 11pm. I wanted to check it out, but did not expect to like it all that much. But I was then hooked from the very first episode. The award winning, critically acclaimed situation comedy, written by and starring Simon Pegg and Jessica Stevenson and directed by Edgar Wright. This is the first time I'll watch this series since Shaun of the Dead was released. I saw it two years before that and it was the reason, I went to see Shaun of the Dead in the theater. Even after the great Shaun of the Dead this series still holds up. It's even funnier than I remember it. Also great camera/editing work. And also great visual gags (like the Velma and Shaggy scene ). The coolest Spider-Man comes to DVD in 3-D animation! Combining state-of-the-art CG imaging with feature animation processing, Spider-Man brings a neon-lit city to life. Based on the legendary Mavel comic book, the series centers on the adventures of Peter Parker, who develops superhuman powers after being bit by a genetically altered spider. Multi-talented Neil Patrick Harris (Undercover Brother, Starship Troopers), singer-songwriter Lisa Loeb and television star Ian Ziering (TV's "Beverly Hills 90210") bring Peter, MJ, and Harry to life, along with guest voice talent from rocker Rob Zombie, rap star Eve, Gina Gershon, Kathy Griffin, Michael Clarke Duncan, Stan Lee and more. Major comic book, animation, and television talent came together to bring Spider-Man to life on the small screen. Brian Michael Bendis (Marvel's Ultimate Spider-Man comic book series) worked as Co-Executive producer, along with Audu Paden (Roughnecks: Starship Toopers Chronicles). Serving as the series' Executive Producers were Spider-Man co-creator Stan Lee, Margan Gendel, and Marvel executives Avi Arad and Rick Ungar. I bought this series years ago, but never got past the first few episodes. I just didn't like the animation style. Besides that, the first episode had potential. I may give this series another chance. It seems to loosely follow the first Sam Raimi Spider-Man movie.